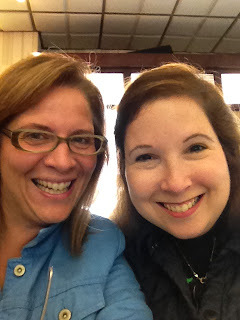 I shared the day with one of my best childhood pals, Sher Berk. 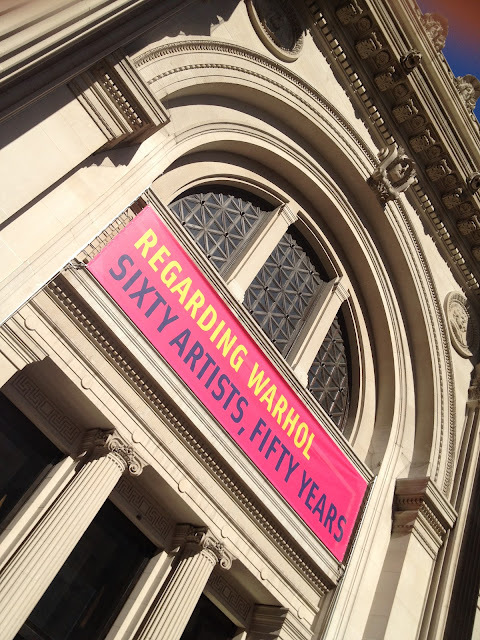 We went to the Metropolitan Museum of Art to go see Regarding Warhol: Sixty Artists, Fifty years. 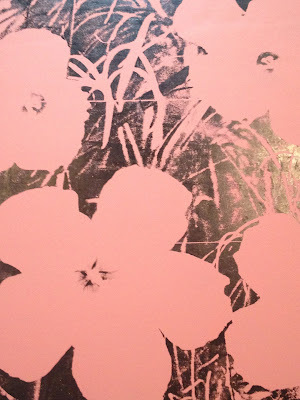 It is opened until December 31st and is worth going! 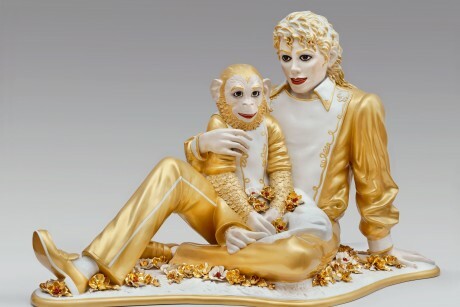 It is a comprehensive exhibit that gives a sweeping view of the artist and his impact on the art world, featuring other works by Jeff Koons, Takashi Murakami, Polly Apfelbaum, Chuck close among others. 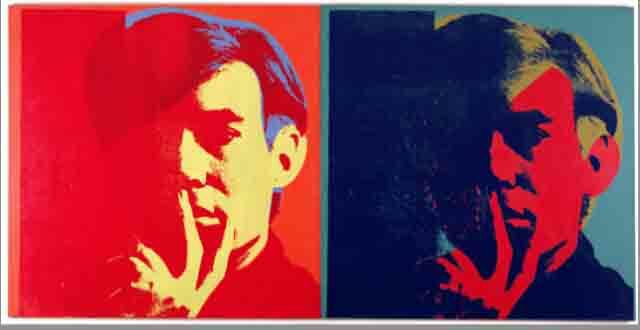 They were all influenced by Warhol's work and as you moved from room to room it felt like a conversation between Warhol's work and the artists he influenced. I learned that Warhol started off as an artist painting backdrops in department stores for the latest women's fashions. 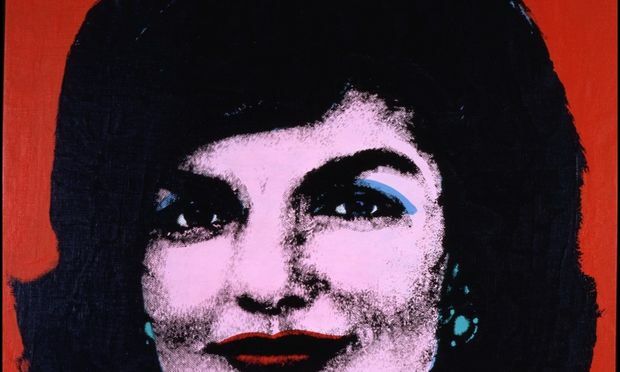 The imagery was hand-painted but he soon turned to the photo-mechanical silkscreen, a medium that catapulted his importance to the art world. 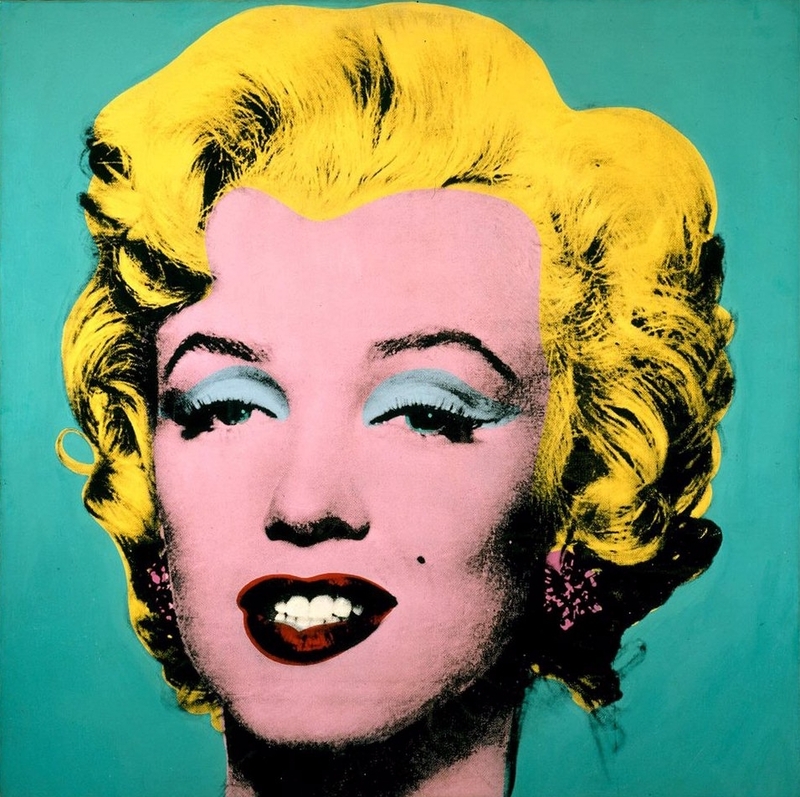 Jeff Koons was influenced by Warhol's notion of scale. 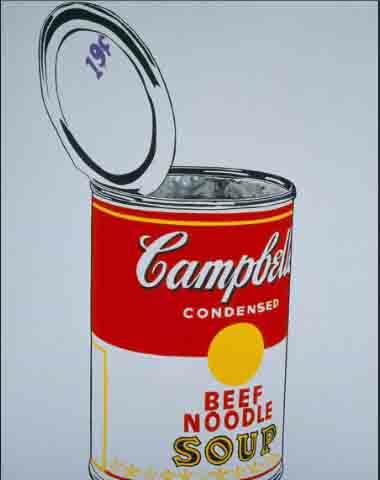 Love the replication of an object or person, be it soup cans, coke bottles or celebs, as it overemphasizes the public's or Warhol's own obsession with it. 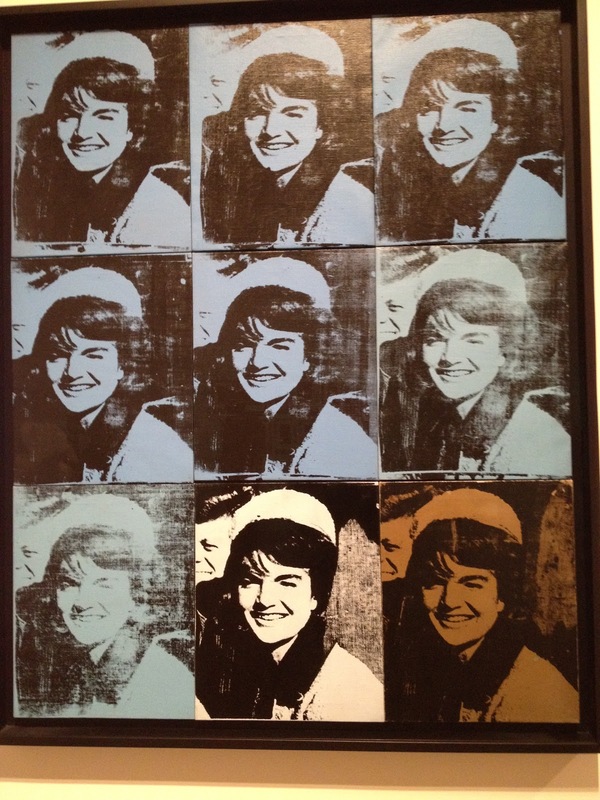 The replication of Jackie O before the tragic event over and over again casts this public obsession with the event. 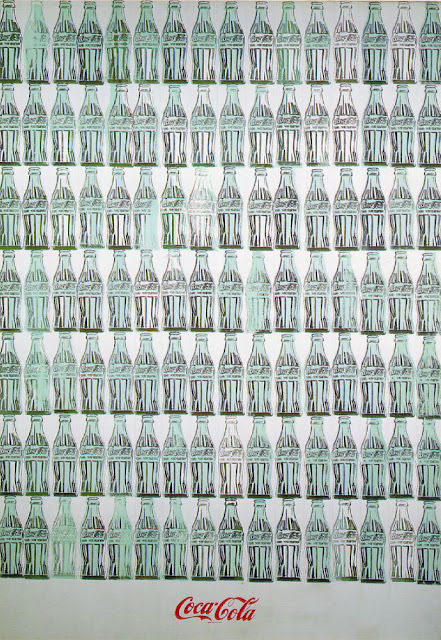 And what about coke? 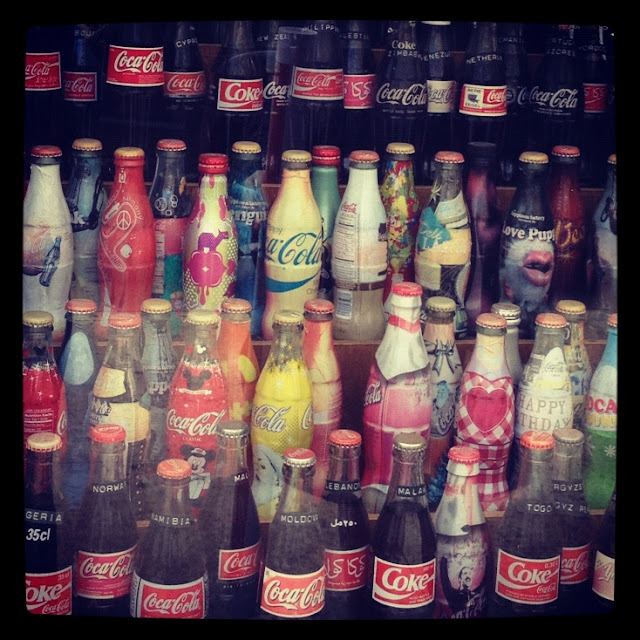 Everyone drinks a coke across all cultures. 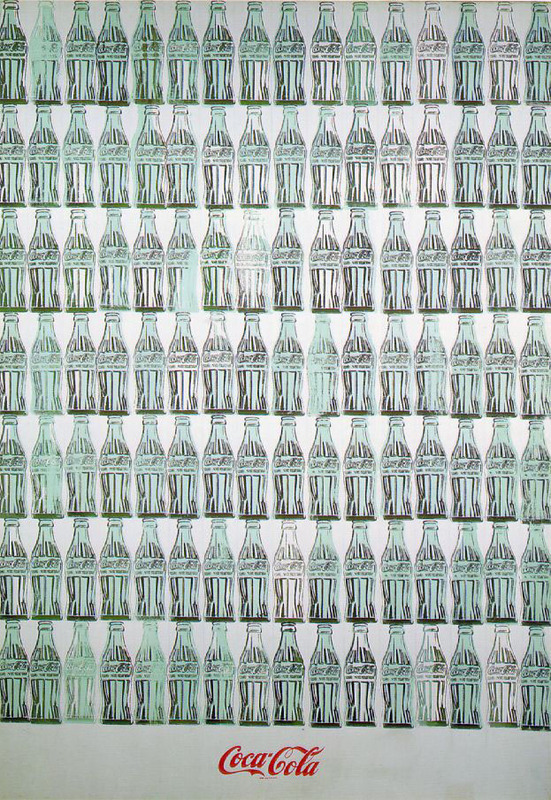 Ai Weiwei. 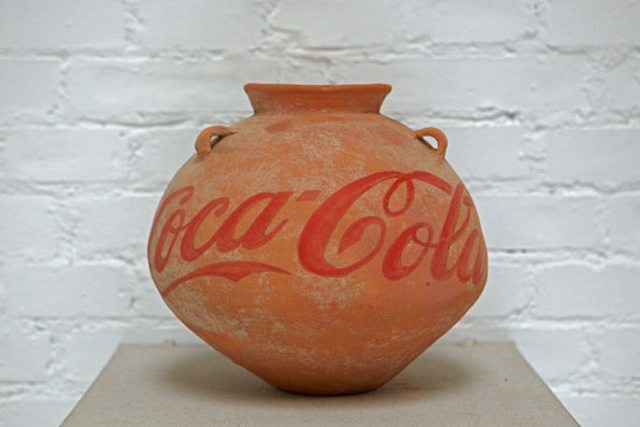 Neolithic Vase with Coca-Cola Logo, 2010. 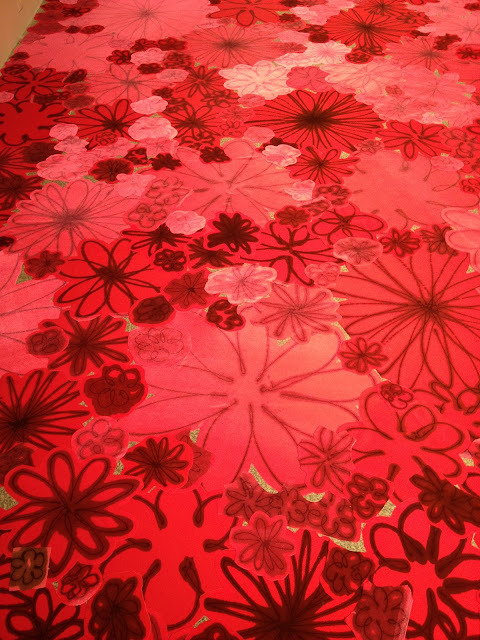 Inspired by Warhol's silkscreen Flowers, she cuts velvet into floral shapes and overlaps them into several configurations and squirts die on them with a plastic bottle. The material provides an optical effect and can be seen differently as you move around it from different angles. After all the walking around it was time for some lunch and a treat...a root-beer float at the Lexington Candy shop. 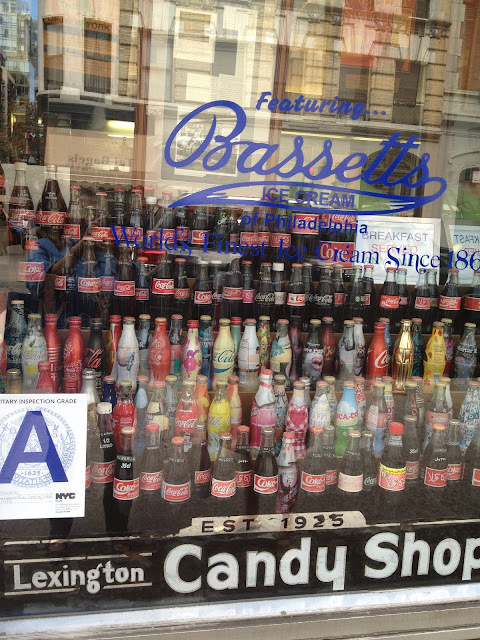 It was all the coke bottles in the window that caught my eye. 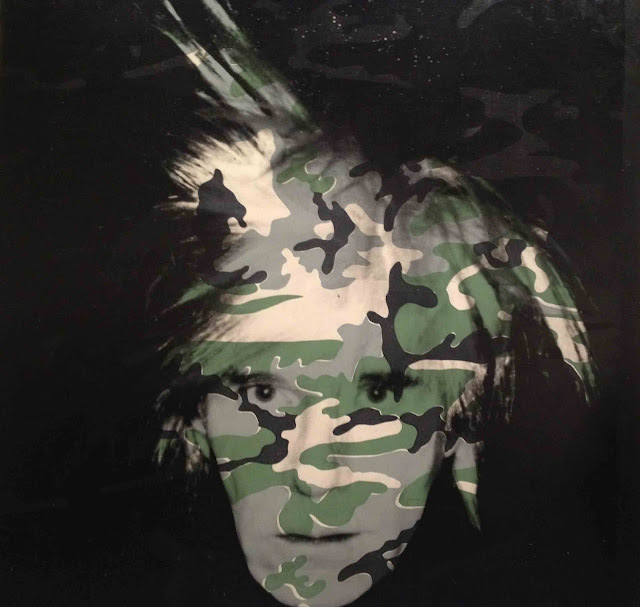 How Warhol-esque! Thanks Sher for an awesome day!! 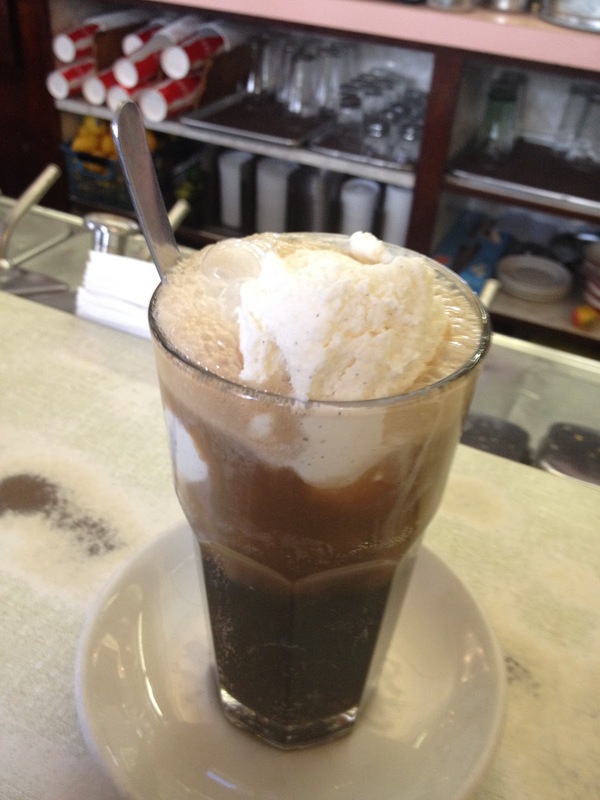 I can still hear you slurping that root beer float! Fab day, Mish!